How to treat insomnia naturally? You don’t need medicines to sleep, just try this natural home remedy for sleep aid! Quality sleep is an ever debatable topic in today’s modern era. The burden of society and work has got us into a vicious cycle of a disturbed lifestyle. Even if you try to get enough sleep, this is quite not possible due to excess study/work pressure. Due to this hindrance of an ideal lifestyle, millions of people face issues related to sleep. Lack of sleep can cause many other side effects which you notice until it’s too late. There are people who although sleep late, yet they wake up completely refreshed. This is because their body demands rest as soon as they lie down on their bed to eliminate fatigue. However, not every person is as lucky as they. Some people suffer from sleep disorders such as insomnia. You should not despair if you are one of them as we are going to reveal our refreshing way to a quality sleep. This recipe will allow you to fall asleep just after you lie down on your bed and will keep you refreshed for the upcoming day. Since all of these ingredients are natural, these can give you the most effective results in a short period. You can use kitchen honey if you want, but raw honey would work best for this remedy. After eating the mixture, drink a glass of warm water and go to bed straight! Combine all of the ingredients in a bowl and stir them well unless they get mixed up thoroughly. 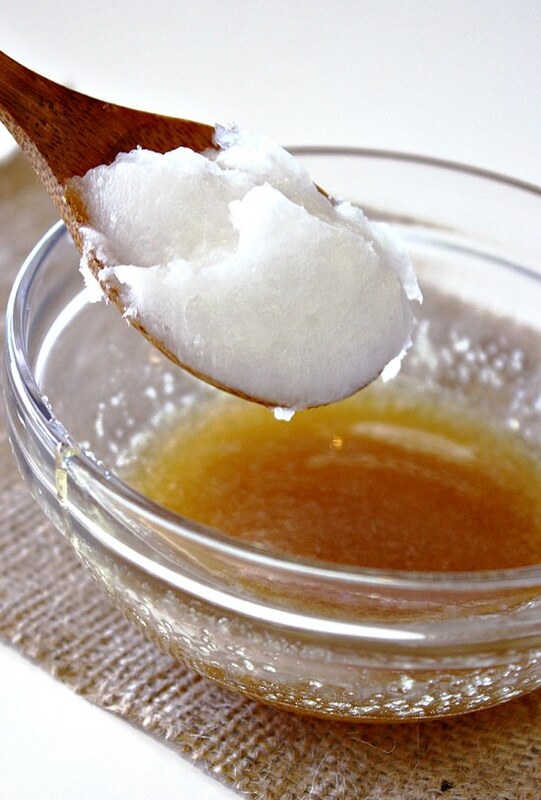 Once done, eat one tablespoon of this mixture before going to bed. Be sure to take it before bedtime and not eat anything after that for the most effective results. You can take coconut oil and raw honey separately followed by a glass of warm water mixed with sea salt as an alternative. Blood sugar levels often keep you awake in the night. Coconut oil helps to regulate the blood sugar along with reducing your urge to eat, which in turn keeps you asleep till morning. Honey stimulates the adequate supply of liver glycogen for the mind which reduces the stress hormones, cortisol, and adrenaline. These hormones often prevent you from sleeping effectively. Salt reduces the stress hormones in your body and provides ample energy to your body to function throughout the night. Warm water, in Ayurveda, is known to stimulate the sleeping points and provide the body with enough warmth and hydration. Maintain the hydration level of your body with regular water throughout the day to skip drinking much water before bedtime. Excess water before bedtime can cause you to wake up in the middle of the night to urinate. We hope that this remedy will help you to some extent to get quality sleep. If this remedy doesn’t work in the initial days, have some patience your body will become used to these ingredients and work accordingly.